Netflix to bring Castlevania and Cannon Busters Creators to AX 2018! We’re excited for Netflix to preview some of their exciting upcoming slate of anime programming at AX 2018! Together with John Derderian from Netflix, LeSean Thomas and Adi Shankar will each reveal first looks at Cannon Busters and the second season of the hit series Castlevania. LeSean Thomas and Adi Shankar’s appearances at Anime Expo 2018 are made possible by Netflix. 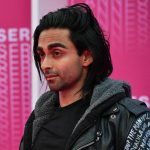 At 33, Adi Shankar is an innovative creator and executive producer of feature film, television, and video work. He is known for creating the award-winning and controversial video street art series, The Bootleg Universe, where he reimagines and subverts pop culture iconography including The Punisher, Spiderman, Mr. Rogers, James Bond, and Power Rangers. Past credits include Dredd, The Grey, Killing Them Softly, The Voices, and Lone Survivor. He also produced Bodied with Eminem which is set for theatrical release in August. He serves as the co-showrunner of Castlevania on Netflix. John Derderian is a Director at Netflix, covering Anime and Japan. 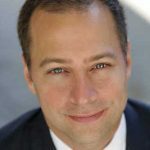 He joined Netflix over five years ago and has worked across numerous content verticals during his tenure at the company, including major studio licensing, independent television, co-productions, original series in Asia, and initial licensing for new markets. Prior to joining Netflix, John worked for several years at AMC Networks where he developed their international channels business. He started his career as a corporate lawyer at the international law firms Skadden, Arps and Hogan Lovells. Originally from the South Bronx, LeSean Thomas now lives in Meguro, Tokyo, Japan, where he works as a television animation producer and director. His most recent project is Crunchyroll’s anime series Children of Ether. 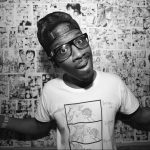 LeSean Thomas worked on the Adult Swim show The Boondocks which was nominated for an NAACP image award and won an honorary Peabody Award. He also worked as a television animation artist and producer for Cartoon Network, Sony, Warner Brothers, and Nickelodeon His new anime series Cannon Busters will premiere exclusively on Netflix in 2019.